Add these five Feng shui plants that will help you breathe healthy air in your office and experience the change in your productivity level at work. Whether you accept it or not, but a research study says that if you are working in a large office, the radiations of computer has a role to play in downgrading the quality of pure air. This also has multiple trickle down effects on health as the low quality of air further deteriorates your vision and will give you headaches. In addition, it has also been found that the dryness in the air can be attributed to the air conditioned environment which although keeps you cool but will often leave you dehydrated. In such a situation, we do agree that there is no escape from the office, but a solution can be worked out that makes the interior environment bearable and healthy for breathing. Feng shui plants will help you breathe healthy air in your office. So here is a list of easily available feng-shui plants that you can keep in your office space to take care of your office health and the quality of air you breathe. An easily available plant that has already been popularised in the advertisements of Patanjali with multiple health benefits. You can get this plant in the nearby vicinity of your park or neighbour. Aloe Vera plant is said to have healing effects on treating mild burns and soothing sunburns. However, it also aids in the process of removing harmful solvents from the air, such as formaldehyde and benzene. Aloe Vera Plant is easy to care for and requires little water. So you need not go beyond your limits to take care of the plant. If your desk receives some sunlight or there is a corner in your office that has access to bit of sunlight, place the aloe vera plant there, it will automatically purify the air around you. A very serene looking plant with a pleasant floral scent, they bloom for much of the year. It will not just add beauty to your otherwise dull looking desk but will also lift up your spirits with its fragrance. 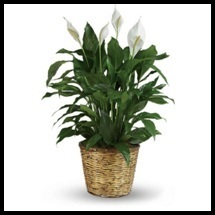 Peace Lily is said to one the most valuable office plants for purifying the contaminated air. Even NASA in the Clean Air Study has claimed that peace lily is a sure shot office plant that will remove every single chemical from the air. When in need of water, the plant will wilt indicating that you quench its thrust. 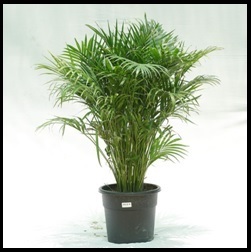 A cute looking fern type of a plant, bamboo palm is one of the most looked forward feng shui items in the market. The plant can grow upto the height of 6 feet and is very popular with decorators. The plant will give more formal look to your organised office desk. It has been instrumental in removing chemicals such as Benzene, Trichloroethylene and Formaldehyde from the air. All these chemicals are the prime source of eye irritation, nose and throat infections. This plant is insects and pests resistant, so it will surely keep the mosquitoes at bay. If you are not one of those who can take care of plants on regular basis, then rubber plant is the best choice to include in the list of feng shui plants that can purify office air. These plants are tolerant of neglect and does not require water supply on daily basis. They can even thrive in dim light and can eventually reach 8 feet tall if taken care of. It’s simple and large leaves will adorn your office desk and will make you fall in love with its quality of standing strong even in adversity. The plant possesses excellent ability to remove toxins from the air. A very popular plant that helps filter airborne toxins inside your office building. The plant effectively cleanses air from benzene, formaldehyde, xylene and toluene. Because the plant can grow in any direction, so it is recommended that you do not place it on your workstation. 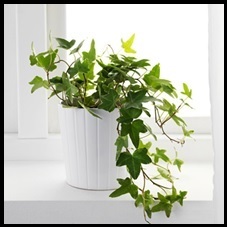 Rather find a corner which seems dull and this plant will add some charm to the lost side of your office wall. A little care for this plant, and it will return you its love in the form of clean air and good health. These five feng shui plants are often used in the office environment to keep the air healthy for the employees. Even you can recommend keeping these plants in the office to the concerned HR personnel. After all when the question is of employee health, no company would want to let the employee suffer from ailing health. In fact the tinge of greenery would add elegance to the already plush interiors of the office. If you know other plants that can be instrumental in purifying the quality of office air, then do share with us in the comments section below.